The youth are acknowledging that the Philippines is very vulnerable to disasters and Climate Change. It is already part of their daily experiences, particularly students who go to school despite the elements. They are also part of the communities where they live and interact with, and that is why they realized the necessity of having a community-based disaster information an alert system. Students from St. Jude Catholic School brought practicality and utility with their invention. It is called the Balik Buhay Box (BBox). It is a rubber cube with buttons that pertain to a particular emergency or disaster. There is a button for fire, flood, and earthquake. Upon pushing the appropriate button, the alert message will be transmitted to the barangay hall where the first responders will be located. From thereon the barangay responders will learn about the location and nature of the emergency. 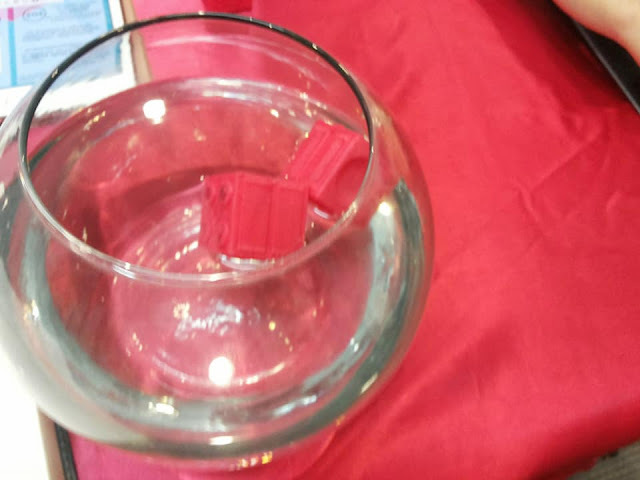 The BBox is covered with rubber and can resist water and even floats on water. 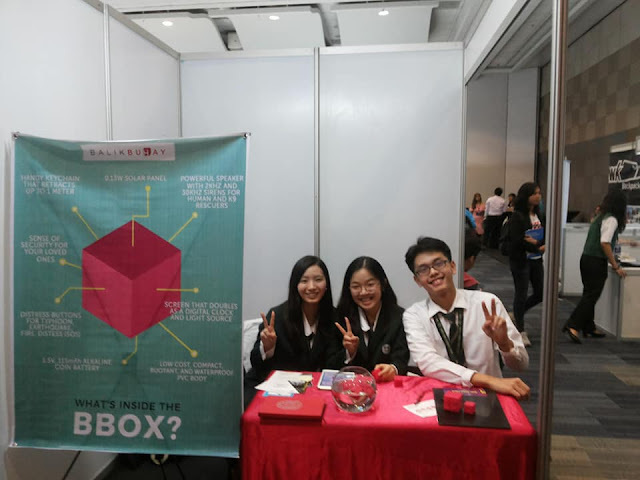 Further development is needed according to the students who are just in Senior High School and hope that the appropriate government agencies and private institutions help in the BBox development. It has been a long journey from Iloilo to Utah Valley University (UVU) for Dr. Astrid Tuminez. The first female university president of UVU and a Filipina has trod the path that many have not been able to and succeeded. The former Regional Director for Corporate, External and Legal Affairs of Microsoft Southeast Asia has been appointed as the seventh president of UVU that was founded in 1941. "Dr. Tuminez’s experience, vision, and dedication to student success will ensure that UVU continues to thrive in the years ahead," stated Daniel W. Campbell, the chairman of UVU’s Board of Regents. 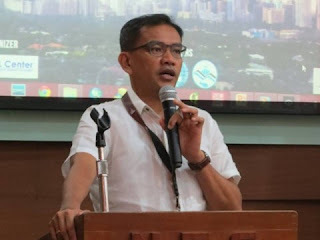 Coming from humble beginnings in Iloilo, Dr. Tuminez was the youngest of 5 siblings and were given opportunities in education at the Colegio Del Sagrado Corazon De Jesus, a school ran by nuns. Starting at being placed last in school standings in her class, after a few months she was already on top of her class. Dr. Tuminez is fluent in 6 languages including French, Russian and Spanish. 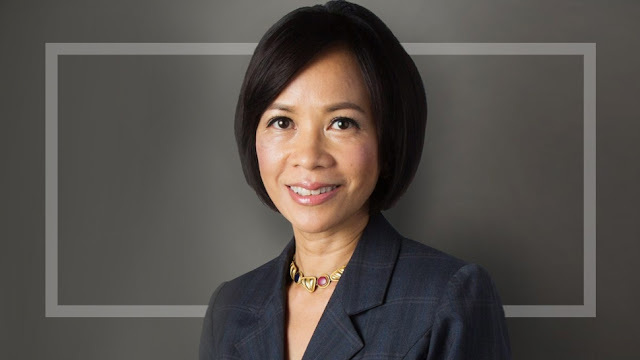 She was able to further her studies at Harvard, a political science PhD at MIT and became Vice Dean at the Lee Kuan Yew School of Public Policy in Singapore. A firm believer in the use of technology to enable inclusive growth for the masses, as a Microsoft executive, she spearheaded the use of TV Whitespace technology to boost WiFi signals in rural fishing areas in Bohol so as to further enhance their utility in disseminating information to fisherfolks so as to enable them to register with ECOFISH, a program for fisherfoks. UVU offers 84 bachelor degree programs, 8 masters degree programs, 64 associate degree programs, and 44 certificate programs. It is the biggest publicly funded university in the US. "I was raised in the slums of the Philippines and I was 5 years old when Catholic nuns offered me and my siblings a chance to go to school. So that changed the entire trajectory of my life, and that's what makes it so exciting for me to be in a university like UVU," Dr. Astrid Tuminez said. She further related that she only had 1 pair of socks that she washed once a week and plugged the holes in her shoes with candy and lollipop wrappers. This is one scientist an academic that fully understand how it is to be poor. Dr. Astrid Tuminez did not only lift up herself but most importantly works for the upliftment of her fellowmen. LAUNCHGARAGE, the Philippines’ first innovation hub with the largest network of local, regional and global ecosystem partners has launched the EXPAND Philippines program in partnership with the Malaysian Digital Economy Corporation (MDEC), the lead agency that drives the digital economy in Malaysia. Launchgarage was co-founded by Jay Fajardo, widely considered by many as a pioneer and thought leader in the Philippine tech startup scene and a renowned serial entrepreneur in his own right with a notable exit under his belt. Its COO and co-founder, Jojo Flores is also the Co-Founder and VP of Plug and Play Tech Center, one of the world’s largest tech accelerators with 20+ locations across the globe. Its goal is to further strengthen the tech and innovation scene in the Philippines and Southeast Asia in general through its network, services, and opportunities that cannot be found elsewhere in the world. 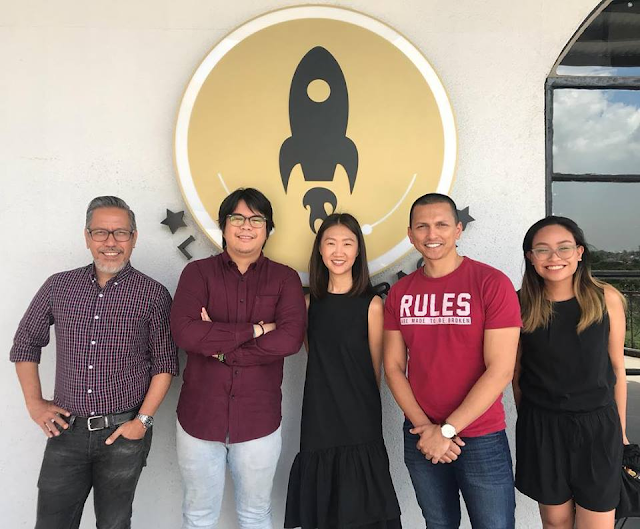 As champions of collaboration, Launchgarage and MDEC launched EXPAND Philippines to further strengthen the synergy between the startups in the Philippines and Malaysia. “As the primary drivers of innovation in the country, we are truly excited to work with Malaysian startups eager to expand to the Philippines, breathing new life into our competitive landscape. 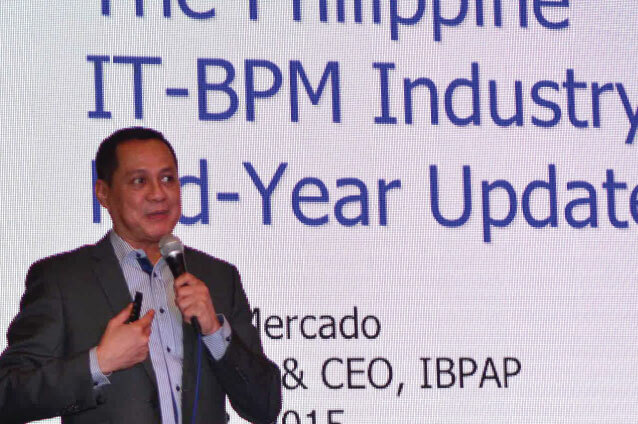 Our role is to ensure that our incoming cohort is able to get a clear grasp of the market, its various regulatory and legal facets and a deeper understanding of the Philippine demographic,” said Lance Pormarejo, General Manager of Launchgarage. EXPAND is a structured program tailored for tech startups, providing them with opportunities to connect with decision makers, influencers, investors and potential collaborators. Through this program, Malaysian companies are eased into the Philippine Market with various lectures, mentors, and an on-site immersion in the Philippines during the final stretch. As champions of collaboration, Launchgarage and MDEC launched Expand PH to further strengthen the synergy between the startups in the Philippines and Malaysia. Out of 50 applicants and a grueling selection process, five startups were ultimately chosen to participate in its first cohort. These are Sales Candy, Sushivid, My Robot Time, Avavaz, and The Decision Labs. Launchgarage packed the 4-week program with webinars, meetings with expansion partners, investors, and mentors, that are essential to the startups’ entry in the Philippine market. Most of the chosen startups are already successful in Malaysia and are definitely ready for expansion. SalesCandy is the first action-based instant routing lead management system that would encourage prompt lead follow-up while improving accountability in salespeople of various industries. As a result, you can focus on generating high-quality leads that convert to sales with efficient marketing campaigns, instead of high volume of underperforming leads which leads to low sales staff morale and burnout. SushiVid helps brands to find, hire and work with social media influencers from across the region for marketing campaigns. They are partnered with over 3,000 influencers globally and are seeking to aggressively expand their services to other countries in the region. My Robot Time is one of the earliest robotics educational firms which tackles research and design, production and sale, curriculum development, competition, and operation. Its head office is located in Shenzen with branches in Korea, Malaysia, and Turkey with R&D operations in Israel, Russia, and the USA. They cooperate with various robotics education training institutions and aim to be a global leader in STEM Education. Avavaz is an online shopping multi-vendor e-commerce platform that provides daily great deals. Avavaz platform is designed for trade between ASEAN countries, so as to encourage open economies among countries trade whether it be businesses to consumers (B2C), businesses to businesses (B2B) or consumers to consumers (C2C). 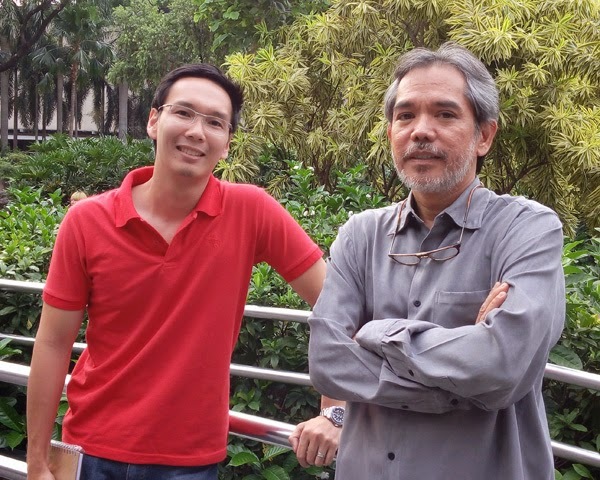 The Decision Labs developed CEMPIA, the winner of the Philippines Health Tech Challenge. It is a Multi-channel, Multi-lingual, Digital Patient Experience Management Platform to understand Patient Experience at every touch point in the Hospital. CEMPIA captures patients feedback, suggestions, and complaints through a series of applications, and solves any dissatisfaction in real time. The EXPAND Philippines Program begins on April 23, 2018, and ends in a culminating activity in Manila on May 18, 2018. It is open to media, investors and startup entrepreneurs. For more information, visit: https://www.malaysiadigitalhub.my/expand/market-philippines/. To reach these startups, kindly send an email to russ@launchgarage.com. (From L-R): Sterling Paper Group of Companies President Gerry Lim Bon Hiong, Sterling Paper Group of Companies CEO and Chairman of the Board Henry Lim Bon Liong, ChatbotPH Co-Founder and CEO Ron Baetiong, and ChatbotPH Co-Founder Stephen Ku. 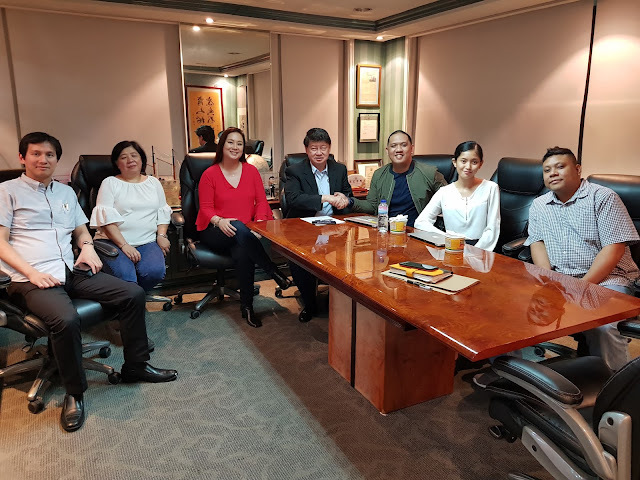 ChatbotPH, one of the pioneering messenger chatbot agencies in the Philippines, announces that it has joined Sterling Paper Group of Companies (SPGC) through an acquisition deal. The agreement was formally reached last February 1, 2018. Founded back in 2017 by co-founders Ron Baetiong, JC Velasquez, and Stephen Ku, ChatbotPH has changed the customer service and automation game through custom-built, AI powered virtual assistants or chatbots. Beyond developing chatbots, the organization helps clients constantly improve their bots through regular AI training and R&D. The organization currently services organizations in the nightlife, banking, and retail industries, among others. ChatbotPH now becomes part of the Sterling Paper Group of Companies. Started as a maker of photo albums and stationeries, SPGC is now a conglomerate with businesses ranging from school and office supplies to real estate and agri-business. Some of the companies under the SPGC wing include Sterling Paper Enterprise, Expressions Book Store, Openovate Labs, SL Land, and Sterling Global Call Center. ChatbotPH’s amazing twelve-month growth proves the mainstream acceptance of chatbots. With this acquisition, the company receives more resources create more chatbot products that serve not just companies, but the nation as a whole. "This acquisition of Sterling allows us to double down on the momentum that we have built on 2017 and scale our operations in order to help more businesses utilize the power of chatbots and AI," says ChatbotPH Co-Founder and CEO Ron Baetiong. 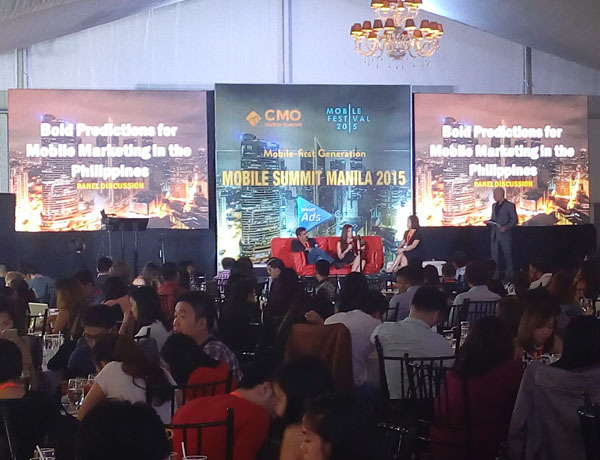 "We're very excited to be part of the Sterling family and we look forward to creating great chatbots for Filipinos to use." Signing of MOA between San Carlos City and Virtual Workforce Professionals (VWP) with San Carlos City Mayor Gerardo Valmayor, Jr. (center), VWP founder, Leif Brian Margallo (2nd from left) with partners (L-R) PTB Digital Hub owner Jun Barangan, Department of Information and Communications Technology (DICT) Visayas Cluster Head Fredrick Amores and San Carlos City IT Officer Allan Binghay. Virtual Workforce Professionals (VWP) signed Wednesday an agreement with the city government of San Carlos in the Province of Negros Occidental through its Cooperative Livelihood Development Office (CLDO) to shall provide information technology (IT) enabled work opportunities in the city. The CLDO of San Carlos City was represented by Mayor Gerardo Valmayor, Jr., and VWP by its chief executive officer and founder, Leif Brian Margallo. Also witnessing the signing are project partners, namely, the Department of Information and Communications Technology represented by Visayas Cluster Head Fredrick Amores, PTB Digital Hub owner Jun Barangan, and San Carlos City IT Officer Allan Binghay. The project aims to provide jobs and opportunities encompassing call center, data encoding, transcribing and processing, directories, content development for multimedia and internet purposes, virtual assistance and any business process outsourcing e-commerce related jobs. The site of the partnership is San Carlos City’s existing rural impact sourcing (RIS) hub which is a product of collaboration and partnership with the DICT, the primary administrative entity of the national government that plans, develops and promotes the national ICT development agenda. 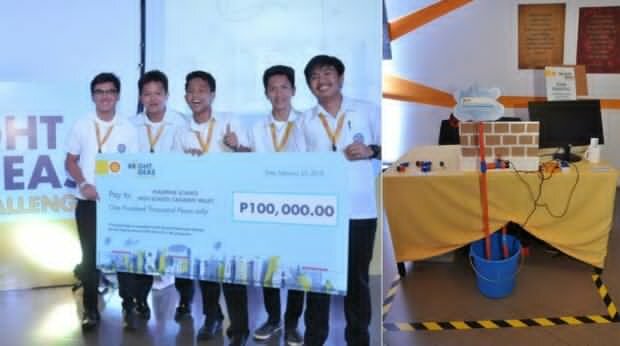 Generating electricity using common household piping systems won the team from Philippine Science High School – Cagayan Valley Campus (PSHS – CVC) the top prize at The Bright Ideas Challenge (TBIC) held at the Mind Museum. Taguig City. The team from PSHS – CVC topped a field of 26 other teams that participated in the TBIC organized by Shell. Hydropower has long been used I generating electricity but these students took it to another level that can be used in households that use piped in water. The team called it the “Pipe – to- Manalo – to” which is a play on the title of a local sitcom Pepito Manaloto. The team composed of John Paolo Lumanlan, Earvin Michael Bibay, Daniel Nikko Tumanut, John Lian Mar Catli, and Jose Benjamin dela Cruz. The invention was inspired by team member Bibay’s observation that there was excess water running from the watershed in Diadi where he lives on his way to school every day. He thought of harnessing such excess water. Using a Kaplan Propeller that was fitted into a T-Joint pipe, this enables the generation of electricity from running water in pipes. The team related that the prototype cost only 100 pesos to build with a tin can, a Tamiya Toy Car electric motor and a T-Joint pipe as its main components. The team was flown to Singapore to attend Shell’s Make the Future Festival at the Changi Exhibition Center. But that was only a part of the [prize. Their school was also given Ph100,000.00 for its STEM program and another Php100,000.00 was given to the team that they will use in further developing and refining their invention. 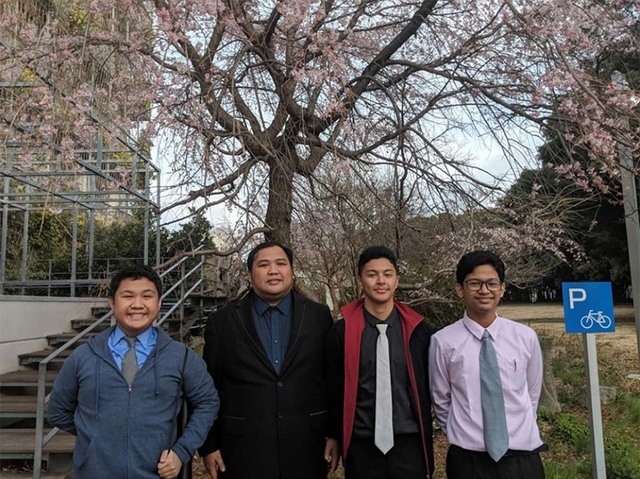 Students from the Philippine Science High School – Western Visayas (PSHS – WV) campus took the plum in the poster presentation category at the recently held Kanagawa International Science Fair in Yokohama, Japan. These were Justin Banusing, Cedrick Cruz and Peter Flores of PSHS – WV with their “Arijo”, an educational smartphone app. The Arijo app was included in the top 8 that was participated in by 78 groups from 34 different schools. “We didn’t really come in with any expectations,” “All we wanted to do was spread our advocacy of promoting STEM education and do the best for our school,” Banusing stated. Developed over 1 year, the Arijo App was inspired by games such as Ingress and Pokemon Go. The app enables its users to learn science experiments, collate environmental data and then share it with others on a public repository. The awardees are seniors in the PSHS – WV campus and will be pursuing STEM courses in college. Founders of the CARAGA Federation of ICT Councils led by Butuan City Councilor Cherry May Busa with National ICT Confederation of the Philippines (NICP) Vice President Jocelle Batapa-Sigue, Department of Information and Communications Technology (DICT) Assistant Secretary Alan Silor, eInnovation Program Manager Emmy Lou Delfin and Mindanao Cluster 2 Director Evamay De La Rosa. 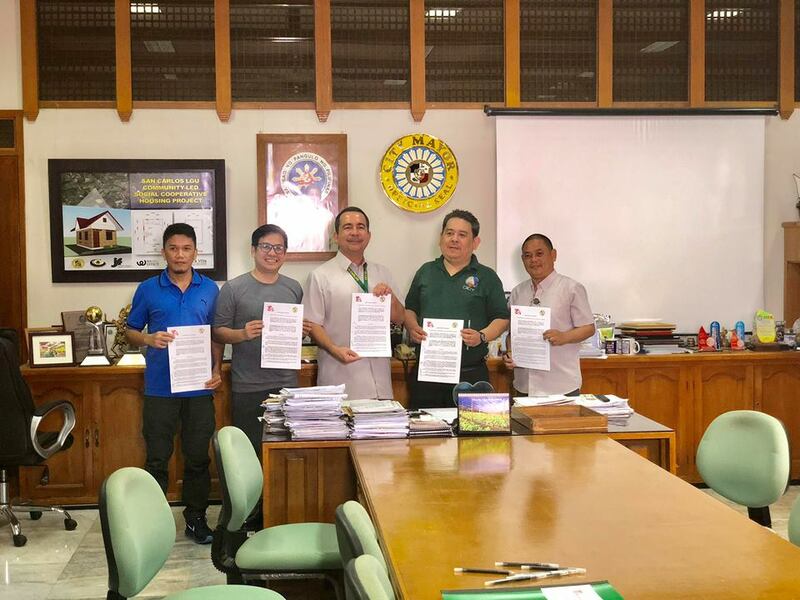 Information and communications technology (ICT) councils created by various cities and provinces in Region XIII or the CARAGA region joined forces last April 4 in Butuan City by forming a federation. 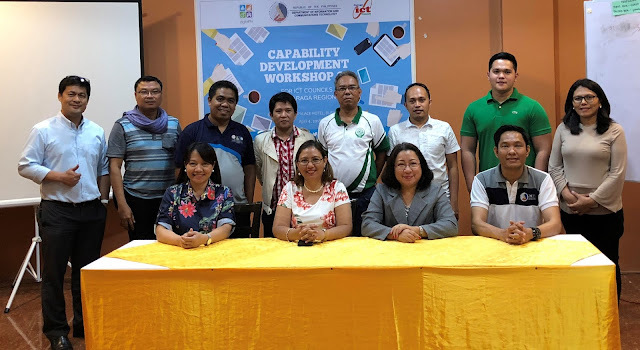 The creation of the federation was one of the major strategies identified during the whole day capacity development workshop organized by the Department of Information and Communications Technology (DICT) and the CARAGA ICT Council (CIC) based in Butuan City. 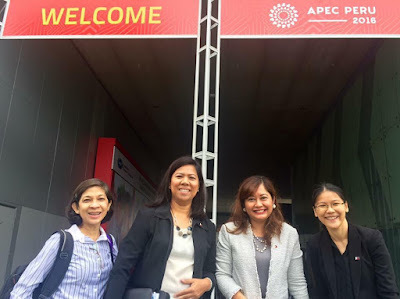 National ICT Confederation of the Philippines (NICP) Vice President Jocelle Batapa-Sigue conducted the workshop where she cited the various strategies in order for the region to develop and generate jobs and opportunities in the ICT sector. Sigue is the founder of the Bacolod Negros Occidental Federation for Information and Communications Technology (BNEFIT) in 2008, the ICT council recognized under NICP, which is instrumental in placing Bacolod as one of the Centers of Excellence for IT in 2013. DICT eInnovation Program Manager Emmy Lou Delfin presented the projects of the department to support the growth of the ICT industry in CARAGA. DICT Mindanao Cluster 2 Director Evamay De La Rosa said the objective of the workshop is to develop the internal strengths and readiness of the ICT Councils as industry catalysts and to create a set of strategies to improve the socio-economic situation of its region by identifying and developing ICT-enabled industries and businesses to serve as drivers for investments and jobs. The workshop also aims to promote ICT-enabled Jobs as a high value economic opportunity in rural communities which have access to internet connection and evaluate the viability of the areas in terms of initiatives to address current needs of the academe and the industry players, readiness and strategic disposition of ICT stakeholders and presence of leadership exemplified by champions from different sectors and openness to mentorship assistance of the would-be founding conveners in the establishment of ICT Council. Officers of the CIC led by its president incumbent councilor Cherry May Busa of Butuan City were also inducted to office by DICT Assistant Secretary Alan Silor. Busa was also named a president of the CARAGA Federation of ICT Councils. The federation under the leadership of CIC is set to host the NICP 3rd Mindanao ICT Cluster Conference in September this year.